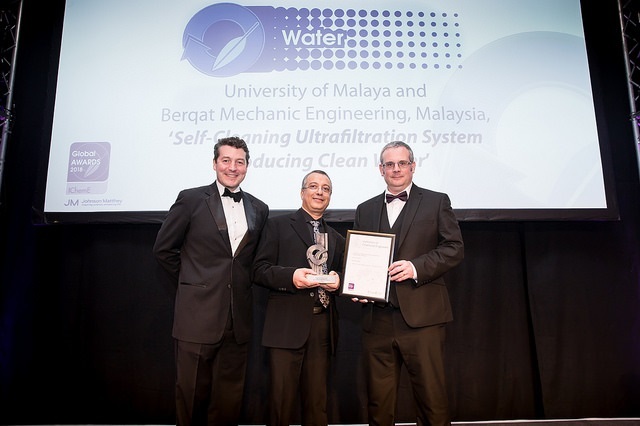 Research team from Faculty of Engineering, University of Malaya in collaboration with Berqat Mechanic Engineering, a homegrown fabrication company, scooped up the Water Award at the Institution of Chemical Engineers (IChemE) Global Awards 2018 held on 1 November 2018 in Manchester, UK. The Water Award recognises the best project or process to demonstrate engineering excellence in water use, clean-up and re-use, with a particular emphasis on reducing environmental impact while preserving commercial viability. Led by Professor Ir. Dr. Mohd Azlan Bin Hussain, the winning project, Self-Cleaning Ultrafiltration System involves the development of an automated self-cleaning mobile ultrafiltration system to produce clean water from various sources, including river water, underground water and spring water. The process is currently providing cheap, clean water to remote villages in Malaysia. The self-cleaning smart backwash system eliminates the use of chemicals. It can also be driven by solar power and can be easily transported to rural areas whenever needed. It is a green system with high socio-economic impact addressing clean water security goal (SDG6). The system has been installed in many remote villages in Malaysia and can produce clean water at a cost less than MYR 0.20 (£0.10) per m³. Also in the research team are Professor Dr. Mohamed Kheireddine Ben Taieb Aroua, who is currently affiliated with Sunway University dan Lancaster University, as well as Dr. Mohd Usman Mohd Junaidi and Mr. Rustam Ramlan who are also from the Faculty of Engineering, UM. 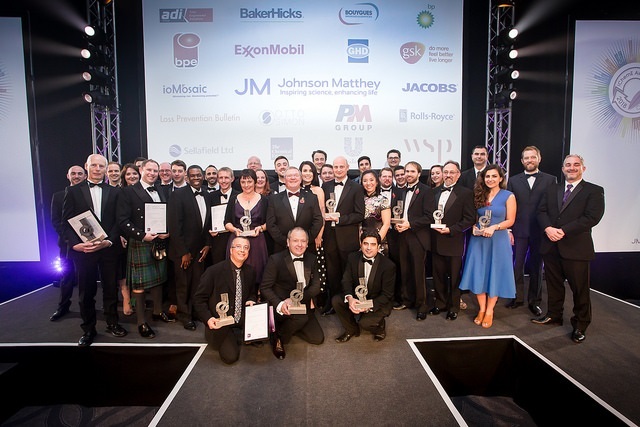 There were more than 100 entries that made it to the final of the Awards this year, which were held in association with Johnson Matthey. The IChemE Awards celebrate chemical, process and biochemical engineering excellence. Established in 1994, the Awards attract interest from all over the globe and are widely recognised as the world's most prestigious chemical engineering awards.